Cary Christian School is celebrating its 20th anniversary. Over the years, we have developed a reputation in our community, and across the country, as a school known for excellence in academics with God’s word at the center. We are also known to have structured and disciplined classrooms, so as a teacher at Cary Christian School, I am often asked the question, quite nervously, “Is grace shown to the students?” While our quick response would be yes, this question really cannot be fully answered without coming to an agreement on the definition of grace. Grace is certainly the unjustified and free favor shown to us by God through salvation and the blessings bestowed on us as a result; however, sometimes we want to stop there. We often think of extending grace to one another as overlooking sin or extending favor for a length of time as determined by the giver. This thought process is not completely wrong, but this would be more appropriate in struggles with certain boundaries or the rules of the classroom rather than sin as shown to us in God’s word. His word tells us that “love covers a multitude of sins.” We abide by this when dealing with minor infractions toward one another until there is an obvious pattern of disobedience. So this leads then to what we sometimes forget about God’s grace. God shows grace to us by loving us through His discipline. What does that mean? Merriam-Webster defines grace as “unmerited divine assistance given humans for their regeneration or sanctification, or a state of sanctification enjoyed through divine grace.” As believers who are sinful creatures, we are all in the sanctification process. As we go through our days, we show our sinful nature in many ways, some which we are fully aware of and others we are not. God’s love is shown to us when He disciplines us and sharpens us so that one day we will be ready to stand before Him with a pure heart. The process of acknowledging, confessing, and then repenting is part of the discipline process. He continues to love us through our sin, and He refuses to condemn those whose hearts He holds, when we certainly deserve condemnation. As imitators of God, we are called to discipline our children with the same love God shows to us. In fact, God’s word tells us if we withhold discipline, we hold in contempt those who are in need of correction. So, when we respond, “Yes, we show grace in the classroom,” know that means grace with love through discipline. In that way, we are imitating our Father in heaven who loves us so much He sent His only son to be sacrificed. That is what we want to convey to your children. As parents, how do we respond when our children require discipline for repeated behaviors that show patterns of disobedience? We rejoice and thank God for bringing to light the dark desires hidden in the hearts of our children. We now have the opportunity to pray for our children’s specific weaknesses and struggles. It gives us an opportunity to guide our children to the understanding of their need for a Savior, as their little minds and bodies grow in wisdom and in stature. As you face your child’s teacher to discuss misbehavior in the classroom, put aside the wrong thinking that your child is not loved or is being singled out for correction. Put aside fretting and worry over the necessary collaborative exchange. Replace those thoughts with praise and thankfulness that your teacher loves your child and wants nothing more than his/her heart to belong to God. That is the grace and love we humbly seek to demonstrate in the classroom, following the example of the grace and love shown to us by God. Mrs. Alaina Oliva serves as a first grade teacher. She holds an Associate Degree in Early Childhood Education from Wake Technical Community College and her Infant/Toddler Montessori Teaching Credential through AMS. She has achieved Professional ACCS Certification. 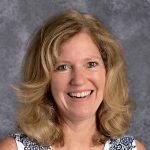 Mrs. Oliva has taught at Cary Christian School for nineteen years. She taught Kindergarten before moving to first grade in 2005. She and her husband, Jorge, have two children, both CCS graduates, Ashley (2007) and Tony (2011), and two beautiful grandchildren. She is an animal lover and enjoys horseback riding and training.